Green River installs encapsulated crawl spaces in new and existing buildings. An encapsulated crawl space has a sealed ground cover, perimeter drainage, insulated exterior walls, and conditioned air. These components allow the space to remain dry, clean and energy efficient. A sealed ground cover (vapor barrier) and perimeter drainage keeps soil moisture and surface water from entering the crawlspace, which helps prevent mold growth and structural damage. We can make repairs and modifications to keep outdoor water from intruding into the crawlspace. These can include correcting site drainage issues by installing swails or French drains, and repairing or installing new gutters. Insulating the walls instead of the ceiling and adding a small amount of conditioned air keeps temperatures near those of the living space above and lowers energy bills. 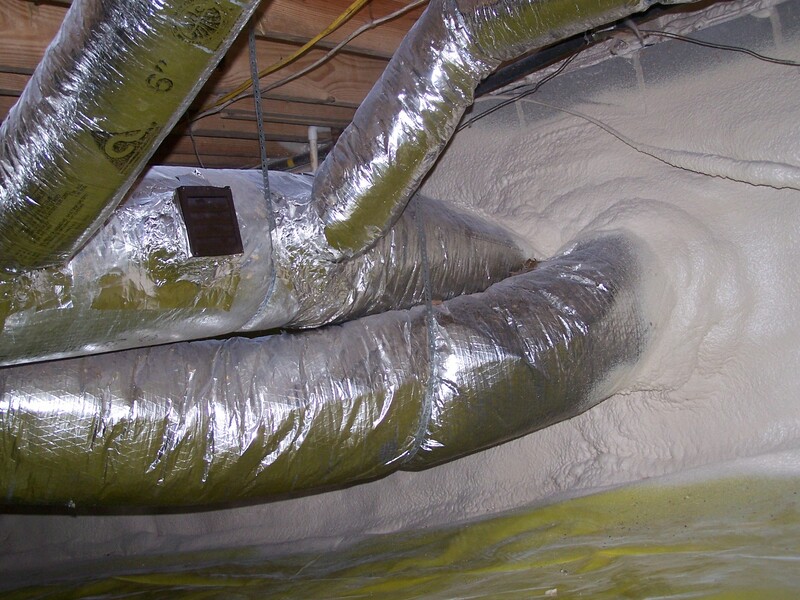 Getting the duct work inside conditioned space drastically lessens the thermal loss through the duct system, thereby saving on energy bills. A conditioned crawl space makes the floors warmer, and reduces condensation under the house. Encapsulating your crawl space can transform it from a dirty, damp, moldy, unhealthy space to one that is clean, air-tight, and dry. Your crawl space is a large area that is directly connected to the living space above it. In many homes, the occupants are breathing air that comes from it, though they may not realize it. This situation can have a large impact on the home’s energy efficiency, comfort, indoor air quality, and occupant health. 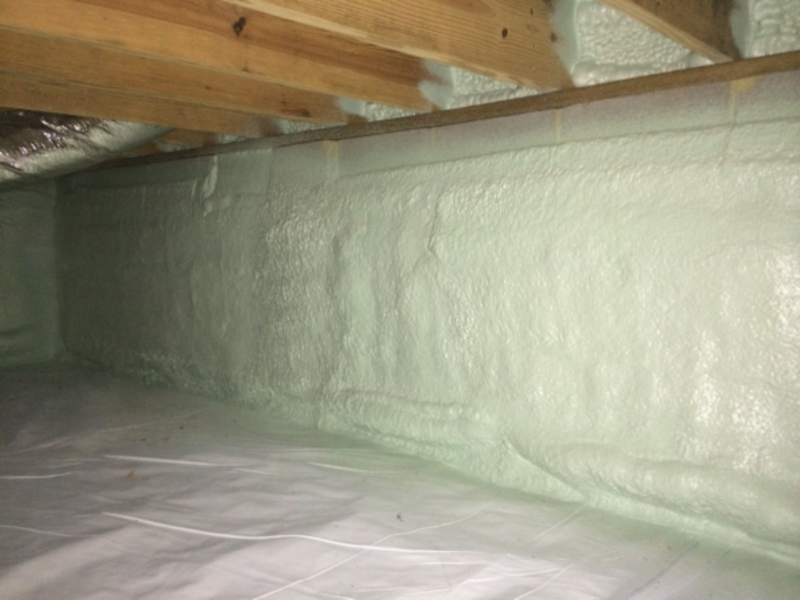 Green River follows methods recommended by Crawlspace.org, the most widely recognized and respected organization that sets industry standards for crawlspace encapsulation. 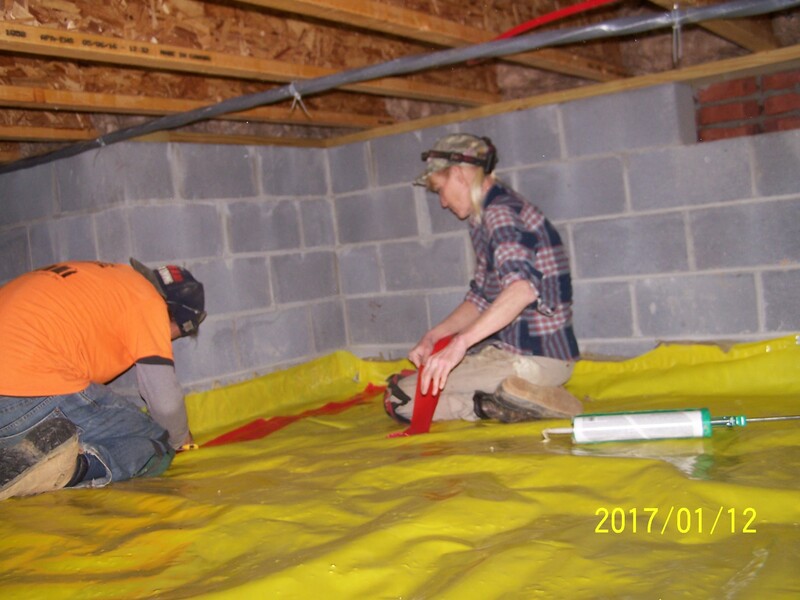 After cleaning up debris and old plastic from the crawl space, installing the heavy-duty 10 mil or 15 mil vapor barrier comes next. It is sealed at the seams and firmly attached to the walls. Contact us today at (865) 919-7464 to schedule a crawl space inspection and estimate. 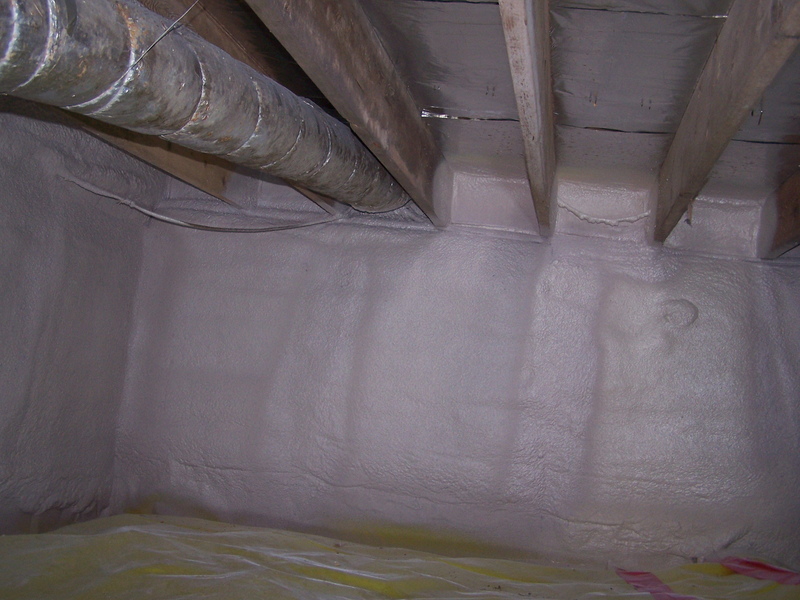 The foundation walls are insulated with two inches of closed-cell spray foam. The HVAC ducts are now inside the conditioned crawl space. This is a very energy-efficient design. The trunk lines are sealed where they go through the foundation wall to the outdoor unit, stopping air and pest infiltration. A small supply register has been installed to lightly condition the crawlspace to help buffer humidity. We Make a Custom Plan For Each Crawl Space. Contact us today at (865) 919-7464 to schedule a free inspection and estimate.